When we travel to anew country we all know that taste of foods will be different from our own country. Every country has their own cooking style. You will get world’s best Pizza or pasta in Italy whereas cakes are very popular in France. One or two dishes are identical dish of a country. But surprisingly India is the only country where you will get various types of popular dishes from each region and each dish are world famous. It can be Bengali fish curry, can be Biriyani, can be dosa and can be pau bhaji. Each region has different types of cooking style and the main thing the difference of spices. If you want to taste these types of regional dishes can visit dominos parlours where you will get Dominos coupons, food Coupons. By using these coupons one will get more discounts. South Indian dishes are very different from other regional dishes. Dosa, Idli, Uttapam are the main dishes of this regional part of India. Tamilnadu, Andhra Pradesh, Karnataka, Kerala are the states of south India, where you will get above popular dishes. South Indian dishes mainly prepare by coconut oil instead of vegetable or mustard oil. Coconut is a very common element in each south Indian dish. Coconut chutney is always a compulsory side dish for Dosa, Idli or uttapam. 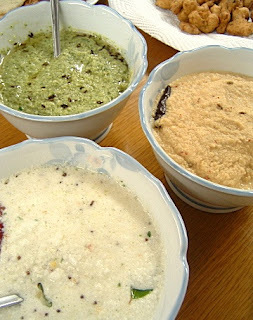 To prepare famous south Indian coconut chutney you need grated coconut, yellow urad dal, salt, dry red chillies, curry leaves , Vegetable oil ( as everyone is not familiar with coconut oil food), mustard seeds, blend urad dal and coconut separately in a mixer grinder. Keep both in different bowl. Keep them aside. Heat the vegetable oil on a fry pan, add mustard seeds, red chillies, curry leaves later add the blended urad dal. Cook it until the chillies changes the colour. Then add salt to taste. Keep it in another bowl and mixed with blended coconut. 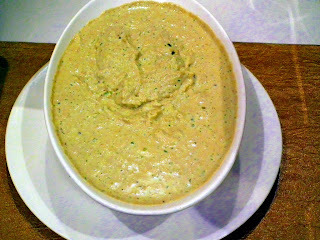 Put it in freeze for 10 minutes and then serve it with dosa, uttapam or Idli. If you want to take different taste of the same dish then must visit subway and use the coupons mentioned above. Waiting to take the taste of the new item? Want to know more about subway and subway coupons, food coupons please log in to CashKaro.com. Falooda Recipe - How to Prepare?